At Pedal Finder, we spend a great deal of time collecting information on various manufacturers and their pedals. We not only collect the information, but we process it and organize it so you, the user, can search through the Pedal Finder database in a meaningful way to discover and research new pedals and new sounds. Of course, our number one resource for information about existing pedal builders and their effects is the internet. But, when a manufacturer stops building pedals, it gets harder and harder to find out information about them as the years go on. The internet quickly forgets about defunct businesses, burying any and all information about them in exchange for new companies wielding relevant information until all that exists are scattered bits of information on forum threads and partial tidbits on pedal resale sites. 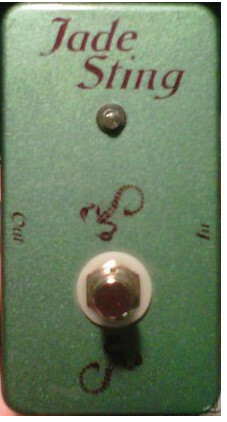 So what can we do when the internet ‘forgets’ about a pedal builder? We can reach out to you! And that is precisely what we are going to do in our periodic series called Fill in the Blank. It’s simple really, if we find a manufacturer that no longer exists, seems to have been well liked and we are curious about, then we’ll reach out to all of you and see if you have any information. Then we’ll compile that information and put it into the database for others to use. The idea isn’t to create research work for anyone, but instead to invite any knowledge you currently have on the pedal or manufacturer in question. Ok, enough of that already. For this episode of Fill in the Blank, we are talking about Outlaw Supply Pedals. It is clear that this company’s online presence was once located at www.pureanalogeffects.com, but as you already guessed, that site no longer exists. From looking at forums, blogs and resale sites like Reverb.com and Ebay, it appears that this company created clones of other pedals. It also appears that people were, overall, impressed with the quality and sound. Although to be fair, about half the praise I’ve read is coming from folks who are selling an Outlaw Supply pedal – so their views might be a bit skewed considering their situation. We stumbled across a wikiwahwah page that lists 20 pedals that Outlaw Supply Created: the 767, Big Beautiful Muff, Big Blue, Blue Bird, Danny’s Duo, Fuzzy Gypsy, Hell Razor, Hot Box, Infested, Jade Sting, Little White Box, Man’s Ruin, Mystic Ninety, Ole’ Fuzzy, Outlaw Chorus, Stacked, Sunset Squeeze, Sweet Fuzz, Texas Heat Triple Boost and the Viking Overdrive. Other than that, we really don’t have much else. We’d like to hear any information you have about this company and their pedals. If you own or have pictures or are able to describe a specific pedal, consider adding the pedal to our database so others can have that information as well. If you just have information about the who, what, when and where of Outlaw Supply, let us know in the comments. After we get enough information to put the whole picture together, we’ll post it all here for future reference.